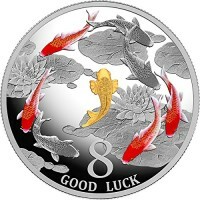 GOOD LUCK Fishes Koi Carp Eight 1 Oz Silver Coin 1000 Francs Chad 2018 - This incredible 1 Oz Silver coin is dedicated to Koi Carps and an extremely lucky number in the Chinese culture, the number tha..
675 Features: -Aqua collection. 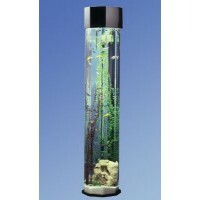 -Fresh water aquarium tank. -Acrylic material. Shape: -Square. 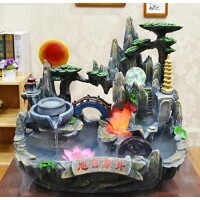 Product Type: -Aquarium tank. Country of Manufacture: -United States. Primary Material: -Acrylic. Water C.. 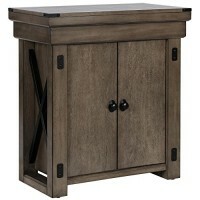 The rustic Wildwood 20 Gallon Aquarium Stand is the perfect way to incorporate the outdoors in and give the element of life to your living space. This stand is just the right size to hold most 20 gall..
We love this. We want this. We can't believe no one thought of this before! 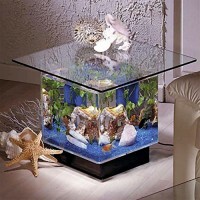 The Aqua End Table Aquarium is creative from top to bottom: the 3/8-inch beveled glass top is illuminated by light shining t.. 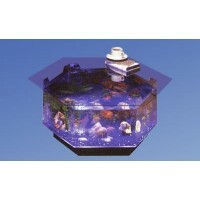 Imagine the intimate, creative conversations you'll have while sitting around this breathtaking Aqua Octagon Coffee Table Aquarium. It's oblong shape is perfect for even long couches, but nobody is go.. 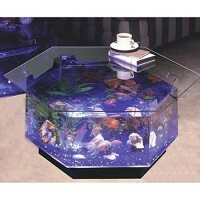 Expand your love for aquarium life with this specially styled coffee table. 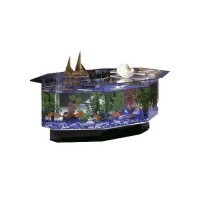 Six sides offer plenty of clear viewing along with the glass top that is also functional for use. It's an amazing setup that..
Dynamism. 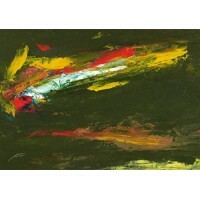 An underwater movement shown as strong bold brush strokes. 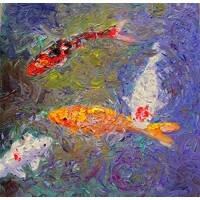 Flashy colors (fishes) versus toned green (water). 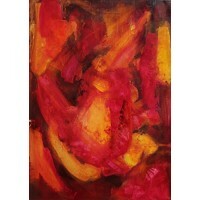 Dynamic composition enhances the impression of movement. Inspired by tachisme. O..
Fluval EDGE Inspired by architectural styling, the EDGE aquarium creates a unique visual effect capturing emotion and serenity within a contemporary setting. 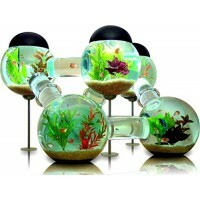 The Fluval EDGE design includes a unique ..
Material: synthetic resin; Category: resin crafts; Hanging form: decoration; Style: Chinese; Modeling: abstract; Packaging: carton packaging; Surface Technology: Printing; Production process: Bionic; .. 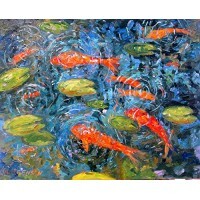 Original oil painting on 12 in x 10 in canvas board .These Koi carp splashing in the water,make a great composition of colour and movement,captured in this impressionistic style.Supplied UNFRAMED but .. 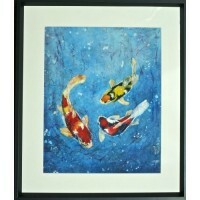 Inspired by swimming koi Fish Please note that for the safety of the painting it will be sent rolled, unframed, not stretched.Make sure to view the rest of our Inventory of great comics on Amazon..
Martha HeppardÕs beautiful watercolor batiks on rice paper are inspired by ancient textile batiks of ancient Japan and Indonesia. 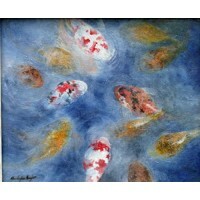 Martha grew up in Hawaii, surrounded by Asian art, and learned to bati.. This piece is vibrant and colorful and the sides of the gallery wrapped canvas have been painted so that it may be hung without a frame.Make sure to view the rest of our Inventory of great comics on A..
A thoughtful birthday present for children and friends! 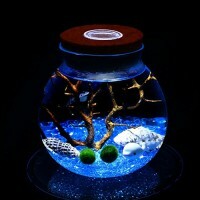 LED marimo aquarium is an ideal indoor decoration for miniature marine ecosystem. 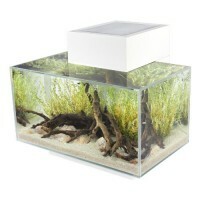 It will bring you a peaceful underwater world back into your l.. Innovative, liquid luxury... truly art in motion. 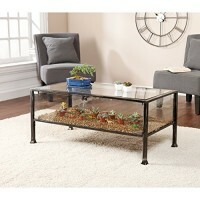 Ever-changing aquatic habitat readily creates a relaxing atmosphere while offering everyday utility. 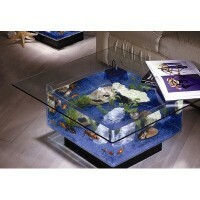 Resting on a black acrylic pedestal, this table a..
Are you looking for something to spice up your room?Our poster easily help you solve this problem.High quality is guaranteed.Any questions about the details, you can contact us at any time.Of course, ..
A magic wand of underwater beauty, the stunning Octagon Aqua Tower is a fresh water aquarium made from modern, seamless acrylic. It's stronger, safer, and 40 percent clearer than glass. A true tower: .. 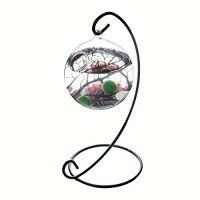 Features: A orb marimo aquarium hanging with a black metal stand, Ideal decoration for tabletop miniature ecosystem. It will bring green back into your living spaces and fit for your house or office d.. This painting is colorful and textural and the sides of the gallery wrapped canvas have been painted to allow for hanging without a frame.Country: Chad - Year: 2018Face Value: 1000 Francs - Metal: Sil..
Showcase a world of your own with this refreshing display cocktail table. Black frame with silver distressing and glass panels creates a universal look that complements many styles and décor. This ter..